Chinese display manufacturer AOC has unveiled a massive 35-inch monitor squarely aimed at PC gaming enthusiasts. The AOC AGON AG352QCX features a 35-inch curved MVA panel sporting a resolution of 2,560 x 1,080 (21:9 aspect ratio) pixels with a maximum refresh rate of 200Hz. The resolution immediately stands out as being humdrum on a screen of this size although it may appeal to gamers willing to sacrifice pixel density in the name of higher frame rates. Those accustomed to high-resolution 4K screens, however, will likely be disappointed with the lack of pixels. 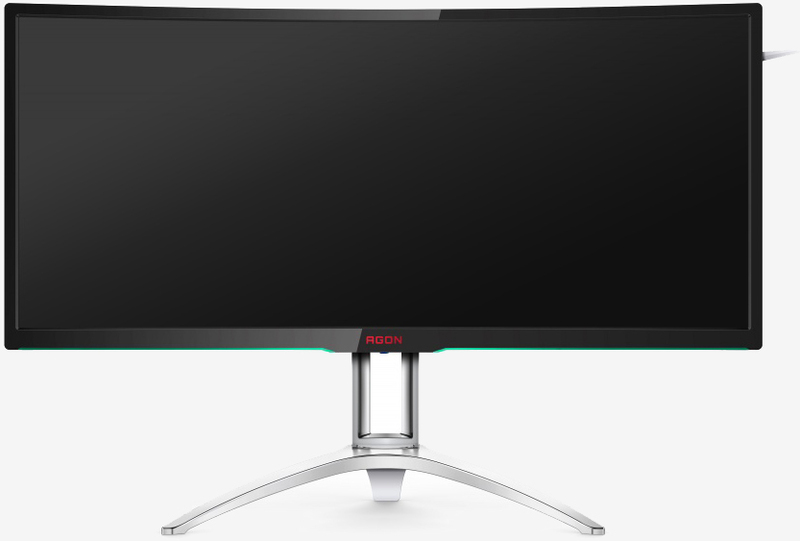 The monitor, which utilizes an “optimal curve radius” of 2,000mm, also supports Adaptive-Sync technology (and FreeSync) to eliminate screen tearing issues. As for inputs, buyers will get one VGA port, a DVI port, an HDMI port and a DisplayPort as well as two USB 3.0 ports and audio jacks. Brightness tops out at 300 cd/m2 with a contrast ratio that can reach 2,000:1, viewing angles of 178 / 178 degrees and a response time of 4ms. The monitor offers swivel, tilt and height adjustments but there’s no option to pivot. Included with each purchase is a VGA cable, HDMI cable, DisplayPort cable, audio cables and of course, a power cable. The AOC AG352QCX goes on sale in Europe next month for £699 (around $865 USD).